The Gators win their SEC opener 2-1 over Arkansas. Gators take their SEC opening game with a win over Arkansas 2-1 and steller pitching from freshman Logan Shore. 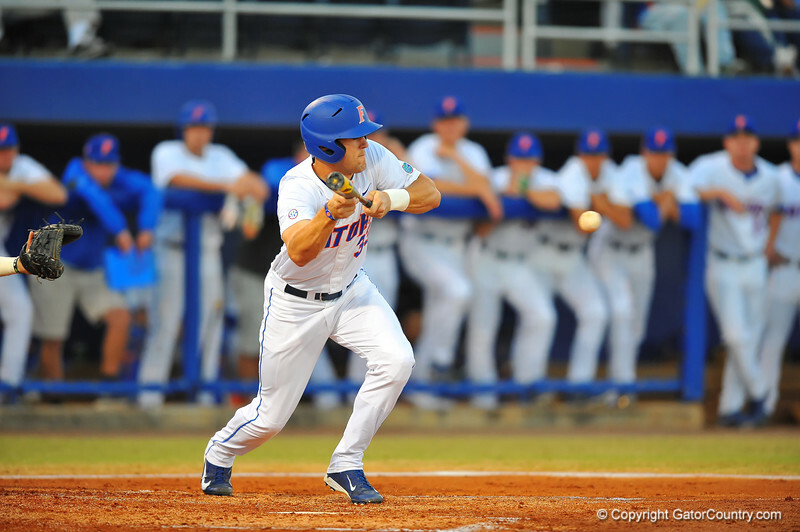 Florida catcher Braden Mattson attempts a bunt to lead of the second inning. Florida Gators vs Arkansas Razorbanks. March 14th, 2014. Gator Country photo by David Bowie.